Flamingos seem to be having their 15 minutes of fame this summer. They are popping up everywhere but I'm most certainly not complaining! I think they're a fun way to spice up your outfits. 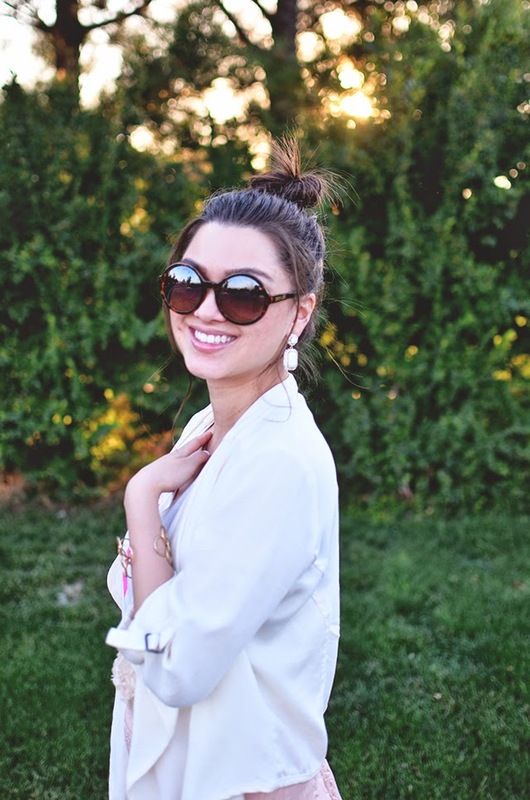 I paired my tee from The Classic Brand with a pale, pink skirt and light-weight blazer from Karen Kane to create a dressier look. K, love you guys and bye. 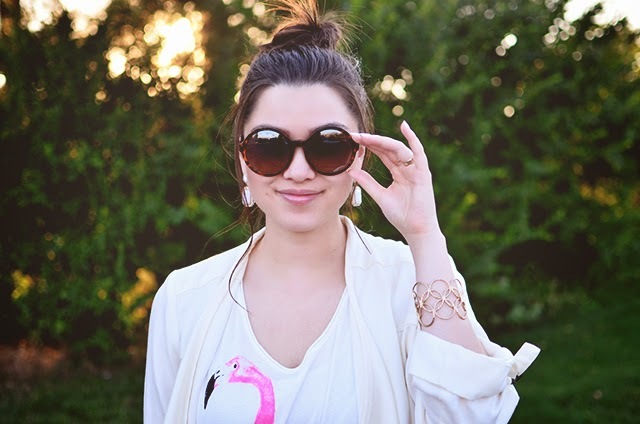 LOVE your flamingo shirt! Have fun at wicked tonight! I'm dying over this shirt and skirt combo! It's perfect!!! That tee is so cute! I love that the flamingo's body is made of textured flowers! So adorable! YES! That's my favorite part too!! It's seriously such a cute top! flamingos, how fun! love the pic of you w/ the sun in the background!! I love the texture of the ASOS skirt! I love the detail on your skirt! Thank you Kelly!! It's a gorgeous skirt. 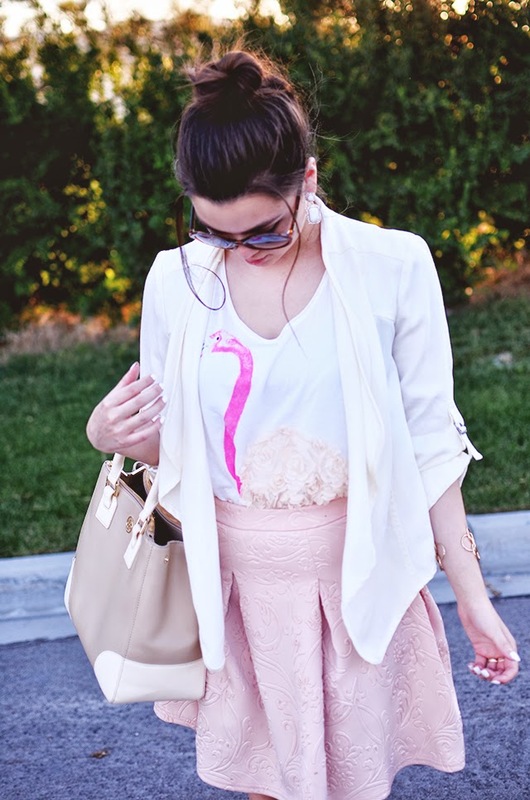 Love this look, the flamingo tee is adorable!